Norfolk, Suffolk, Cambridgeshire, Essex, Lincolnshire, and Northants. 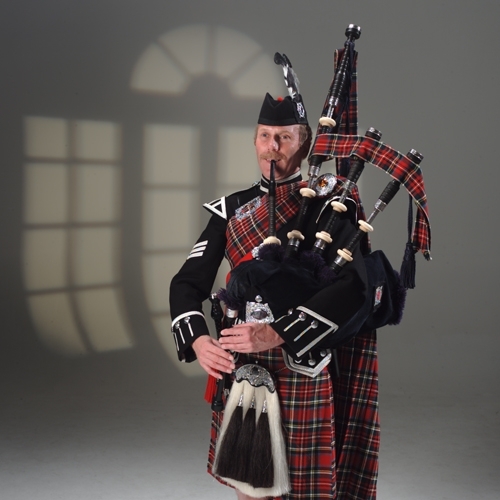 Dave learned to play the pipes at RAF Halton, Buckinghamshire, whilst training to be an Aircraft Technician in the RAF. He was taught by a Scots Guards Piper who had transferred to the Royal Air Force to teach the band at Halton. Dave continued to play throughout his time in the Air Force, playing at various military and social and civilian functions in Britain, Europe, and other places too hot to mention. 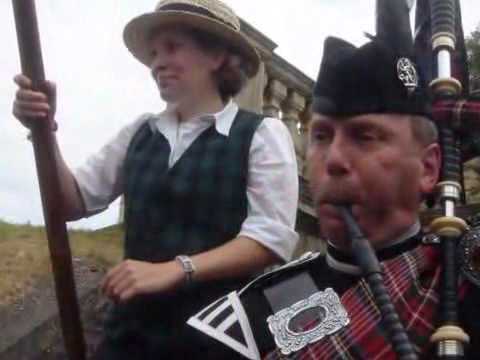 Dave played with the Pride of Murray Pipe Band during the Early 70’s, and was one of the 5 pipers asked to accompany Alex Duthart when he gave a drumming workshop in the Pipers and Drummers Club in London. 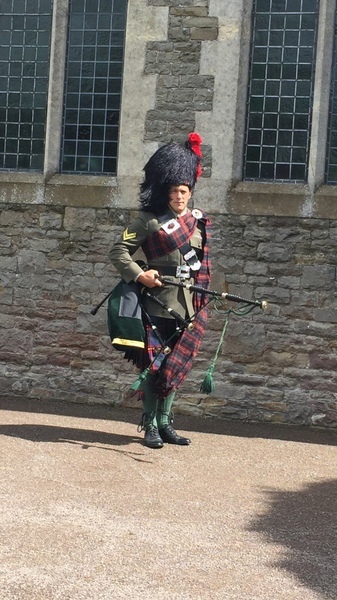 These pipers were not all from the Pride, but were taken from the London area. 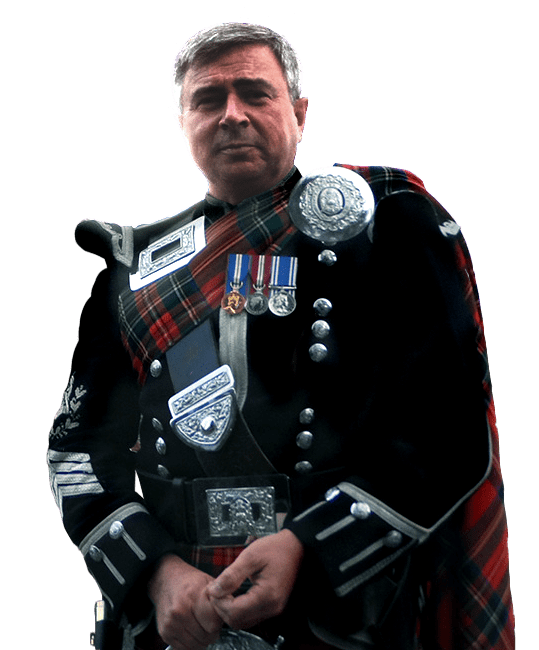 Dave has taken part in the Edinburgh Tattoo for two seasons, 1994 and 1997 as part of a pipe band made up of Air Force personnel. On two evenings in 1997 Dave was the lone piper. Since leaving the Air Force in 1998, Dave has been playing professionally in and around East Anglia and beyond. 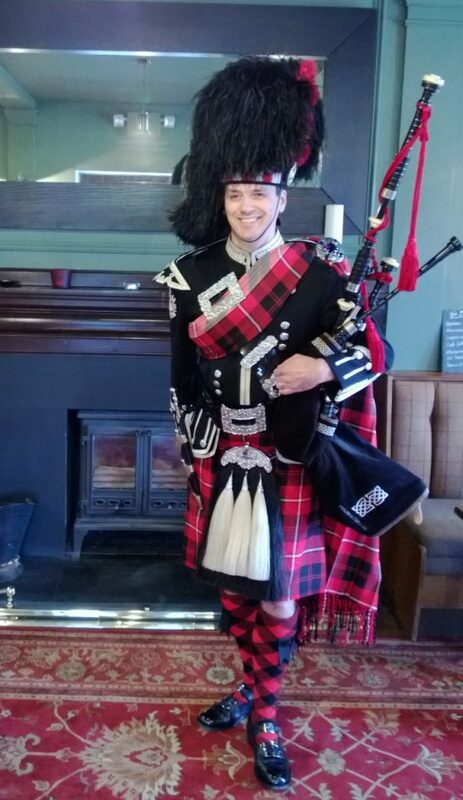 Dave currently plays in the 1st Royal Tank Regiment Pipes and Drums, based near here at RAF Honington in Suffolk.